Americans have always struggled with obesity. Unfortunately, more than two-thirds of U.S. adults are currently considered to be overweight or obese. Losing all that excess weight is never as easy as it sounds, either. Some people simply have difficulty effectively shedding multiple pounds and keeping them off. Fortunately, that’s where the HCG diet comes in. During the 1950s, as Americans continued to fight obesity and look for ways to effectively lose weight, Dr. ATW Simeons created the HCG diet. 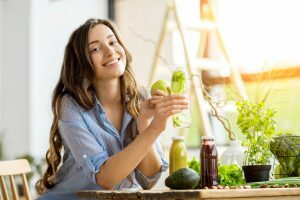 Thanks to Dr. Simeons, Americans toady have the option to use HCG weight loss strategies to get back down to a healthier size and feel much better about themselves. If you or someone you know is struggling with obesity and wants to learn more about HCG weight loss, it’s best to understand Dr. Simeons’ plan and stick to it as much as possible. During breakfast, rather than eating a substantial and carb-induced meal, consider a much smaller meal to only cover the basics. Tea and coffee can be consumed in any amount but be sure to not add any sugar. Only a single tablespoonful of milk is allowed in any 24-hour period during the diet, too. You can, however, use Saccharin or Stevia as substitutes for cane sugar. 100 grams of either beef, chicken breast, lobster, crab, or shrimp. Be sure to remove all visible fat before you cook and weigh the meat raw. Only one type of vegetable should be eaten. You can choose from either spinach, beet-greens, green salad, tomatoes, onions, cabbage, asparagus, fennel, chicory, chard, or red radishes. Additionally, you can add either one bread stick or one piece of Melba toast. And can choose between an apple, a handful of strawberries, or one-half grapefruit. IMPORTANT DISCLAIMER: We are NOT doctors, and can NOT give medical advice. We can only personal opinions and share personal experiences. Please seek the advice of a doctor or medical professional before starting any diet or weight loss program.